File - Pedestrians pass the New York Stock Exchange, Tuesday, Oct. 11, 2016, in New York. Stocks rose to record levels on Friday as earnings season kicked off, CNBC reported. The S&P climbed 0.6 percent to close at 2,459.27, setting intraday and closing records. The index's previous intraday record was 2,453.82, which was set June 19. 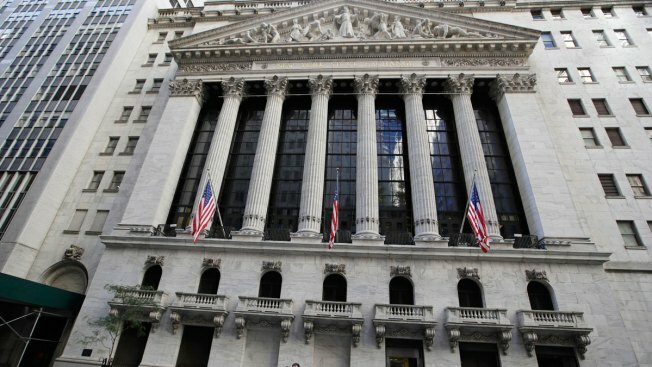 The Dow Jones industrial average closed 84.65 points higher at 21,637.74, a record. The 30-stock index also notched an intraday record. The Nasdaq composite outperformed the Dow and the S&P, rising 0.6 percent to close at 6,312.47.